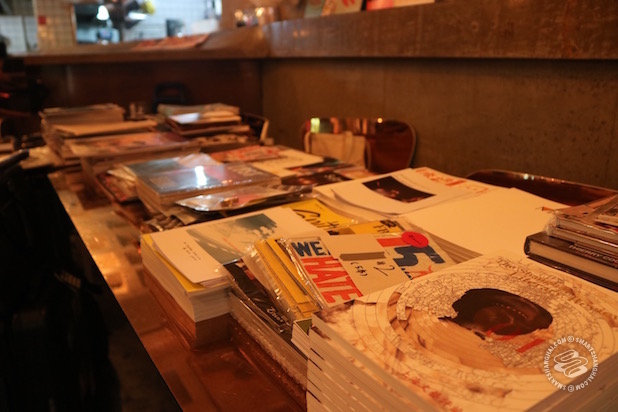 This week, there’s a pop up book shop with 40 indie publications to check out. 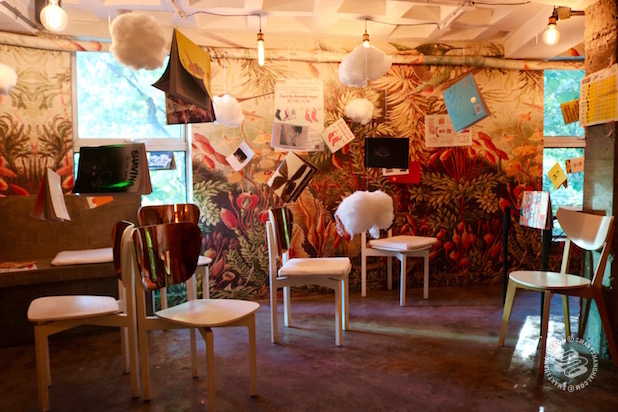 It’s the Jululu Indie Book Fest—but it’s actually happening on Shaanxi Bei Lu. All week long, the second floor of whimsical staple Daliah, will be a space where you can browse through the passion projects of independent authors and DIY publishers. This is the fair's first year, so it’s a bit small, but an excellent opportunity to get in touch with your inner hipster. 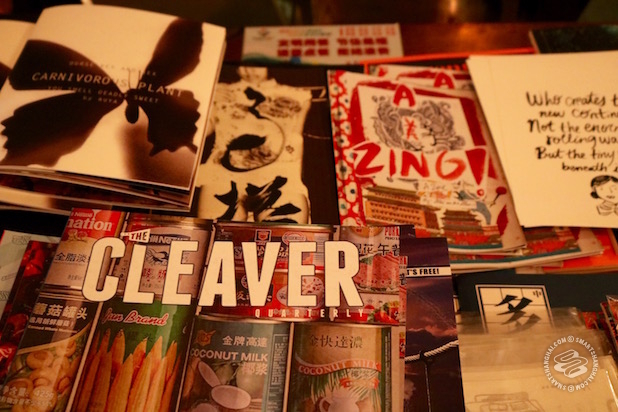 Workshops and panel discussions on DIY publishing in Shanghai are also on the schedule. Read on for how to become and/or support a struggling writer. The Jululu Book Fair (again, not actually happening on Julu Lu, can't stress that enough), is running Monday through Sunday from 3-9pm (July 17-23). Yes, it is a bit small, with one main table of books and magazines to browse through. That main table, however, holds over 40 publications all put together with great care by independent artists. Highlights include: The Shanghai Literary Review which features both creative essays and reviews on world literature; and Shaving In The Dark's graphic novel compiled by a group that 'eats and breathes' comics. There's a wide range, including children's books, travel books, and magazines, so you're likely to find something you're into. It looks pretty cool too. The event was organized by MUSEu&m, and the goal of the pop-up is to make it a bit easier for independent works to reach the larger community. By providing a platform for the voices of those involved in DIY publishing, the secondary goal is to inspire the next batch of indie writing, they say. 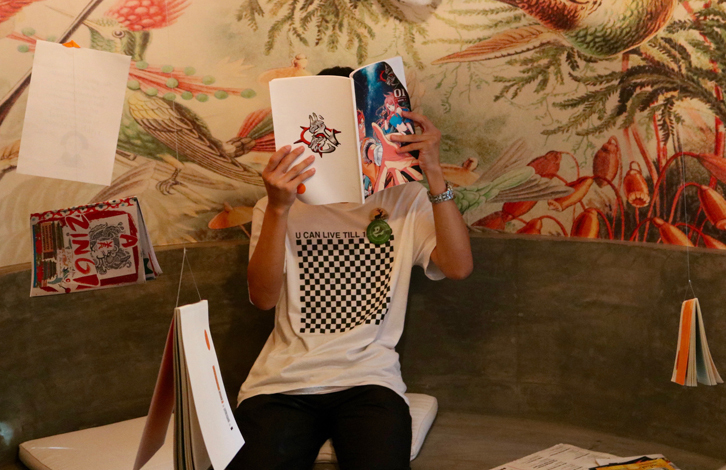 Sprinkled through the week, but heavier on the weekend, will be workshops where you can learn the nitty-gritty of publishing in Shanghai from designers, writers, editors, and printers. There will also be classes on cartooning, calligraphy, and 'Inner Spirit Painting Therapy.' We could all use a bit of that. Check out the full schedule here. The Jululu Indie Book Fest is running from July 17-23, daily 3-9pm. Entry costs 25rmb, but you’ll get a pin and with it discounts on snacks and drinks at the restaurant. And you're supporting indie writers, so hey. We can all get behind supporting indie writers, right? If you've got burning questions or wanna get involved click here.